For many people that have chosen In Vitro Fertilization (IVF) in hopes of building their families, a disruption in the Cryopreservation process can be extraordinarily traumatic. Unfortunately, improper embryo destruction can happen. If you feel that your IVF and embryo storage process has been improperly handled, you may seek counsel through Otorowski Morrow and Golden, PLLC. Below is some information on crypreservation standards. This July marked the 40th anniversary of IVF. The first human being conceived outside her mother’s body is named Louise Brown, and she was born in July of 1978. Over the past 40 years, IVF’s technical and medical advances have increased such that embryo implantation rates are up from less than 5% to over 50%, with the technology now existing to develop eggs or sperm from stem cells and to repair genetic errors in embryos. Today, IVF is the most effective treatment for almost all forms of infertility. Hundreds of thousands of families around the world have come into being through IVF. Cryopreservation of reproductive tissues is an essential part of modern infertility treatment. Embryo cryopreservation is the most common way of preserving a woman’s ability to get pregnant in the future. A number of cancers in girls and young women, including Hodgkin or non-Hodgkin lymphoma, thyroid cancer, breast cancer, or cancer of the cervix, uterus, or ovary are treated with chemotherapy, radiation, or a combination of both. Depending on the woman’s age, the dose and location of the radiation, and the kind of chemotherapy drugs used, infertility may result, as eggs may be harmed or decreased in number. 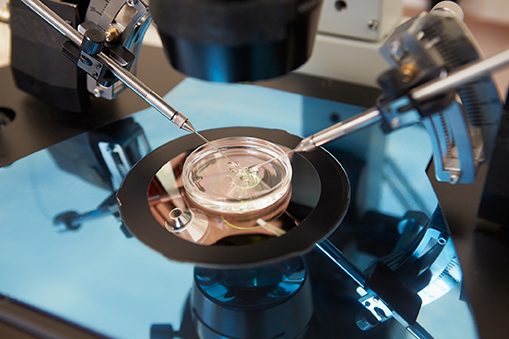 There are three cases involving destruction of embryos currently pending in our courts. Two of the cases are class actions involving defects within the tanks holding the embryos, specifically temperature fluctuations and one involves an embryo lost in transit. Please contact us to see if we can be of help to your family. Consultation is free. Our team in Seattle, WA has served clients just like you for decades, and we have what it takes to present the best case possible. In fact, we bring over 120 years of combined experience to your case. Although we’re based in Seattle, we help clients in Colorado, Idaho, Alaska, Oregon, and California. Turn to us for experienced representation and individual attention. Call us today at (888) 842-1001. We’re ready and willing to help you get compensation so you and your family can pay for medical costs and move on from undue pain and suffering.